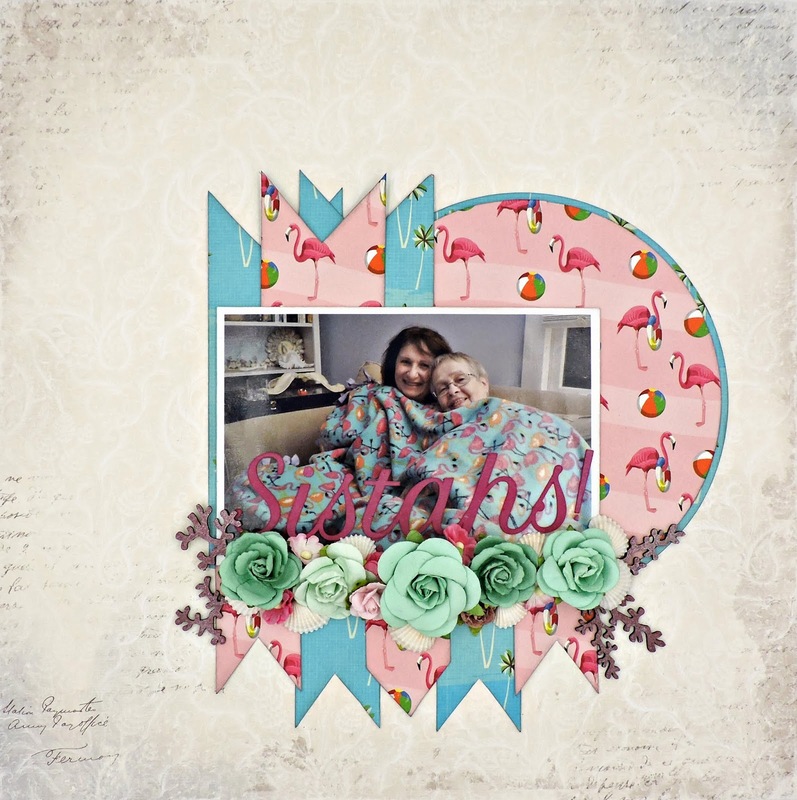 September evenings can be a little chilly on Cape Cod and what could be a better solution than sharing a flamingo fleece blanket with my sister-in-law? My brother captured this moment with his phone and sent it on to me. The mojo is still a bit lazy, so I looked through some of my past work for a bit of inspiration and came across this layout from August 2012 https://www.scrapbook.com/galleries/332343/view/3702533/-1/144/0.html and this lift is what I came up with. As you can see, I found the perfect paper to frame and embellish my photo, a design so bright and bold that I chose to use a very muted sheet from the December Tres Jolie Kit as my background. I was able to use one piece of the Carta Bella paper to cut two circles to use as matting with plenty left for my banners. The title is a Cameo cut from thin cardstock that I colored with a couple of layers of Distress ink. 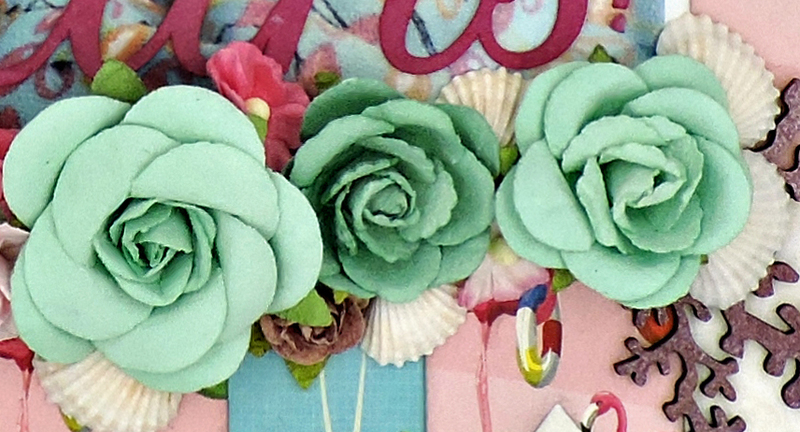 The Darice flowers (also from the kit) blended perfectly with the image and paper. I started filling in the gaps with small blooms from my stash. I cut a Creative Embellishments chippie (a gift from my good friend Maggi Harding) into four pieces, inked them with Distress ink and misted with a bit of Color Bloom and adhered them on the sides of my cluster. I finished it all with scattering a few shells around the flowers.